Welcome to my stop on the Favorites Giveaway Hop hosted by Stuck In Books. 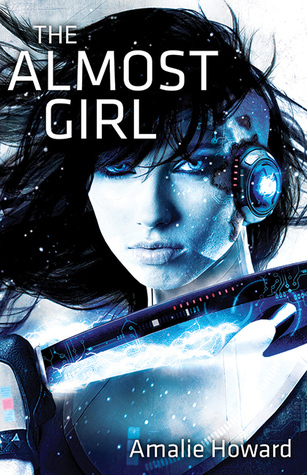 For my stop I will be giving away a signed copy of The Almost Girl by Amalie Howard. More than Magic-Donna June Cooper-it is excellent! Level Up by Cathy Yardley. Oh my gosh, I'm not sure what my favorite book is so far. Probably Greta and the Lost Army! Loved that one! So far, my favorite book is All Standing about the Irish Famine ship. So far my favorite book has been Beastly Bones by William Ritter. The Expatriates is my favorite book I have read so far this year. Out of the books I have finished so far this year, my favorite was The Forbidden Wish. I loved the eighth book in the Iron Eagle series by Roy Teel, Jr. So far, Passenger by Alexandra Bracken. So far, The Girl Who Loved Tom Gordon, by Stephen King. So far, Plains of Passage. 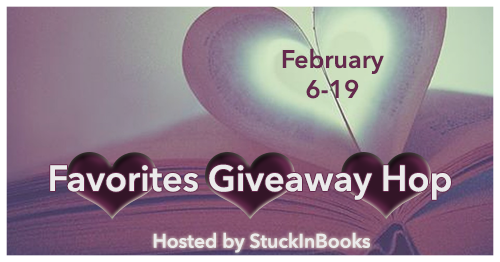 My favorite book so far was Winter by Marissa Meyer. The Choice, by Nicholas Sparks. I just finished The Martian. It is a great book. I will probably start Six Of Crows next. The Interview by Virginia Gray.